Lemax Lucy's Chocolate Shop depicting a delightful period chocolatier store selling fine Chocolate, deliciously made inside, whilst snow hangs around in the cold outside. Internally illuminated village miniature table piece suitable for placement within a themed Lemax village Christmas display. Lucys Chocolate Shop is a Lemax favourite being part of the Lemax Caddington Village miniatures collection since 2004. 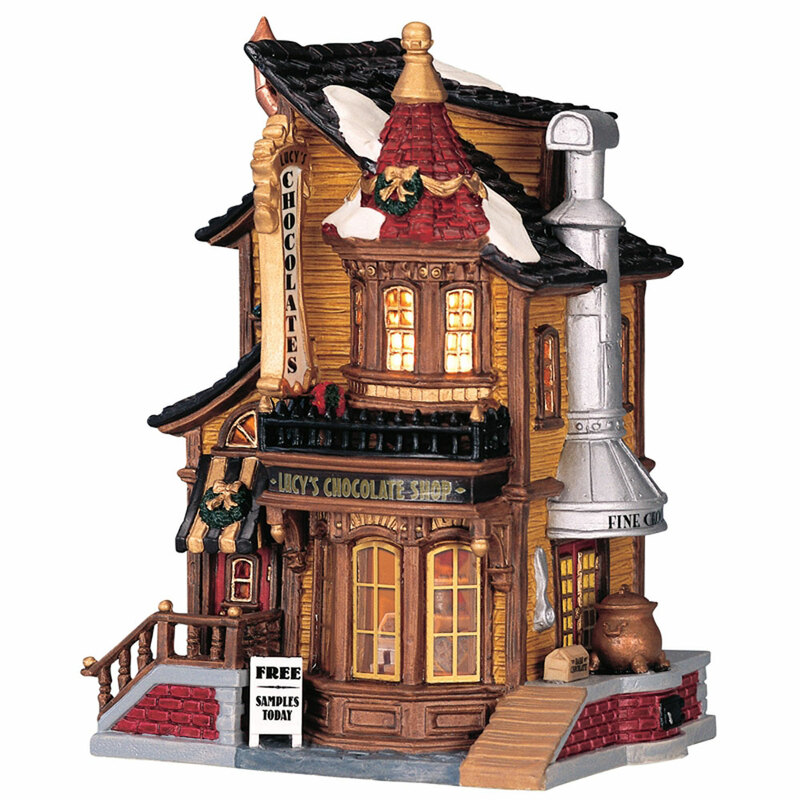 Lucy's Chocolate Shop is a single porcelain hand painted miniature building on a single street setting base, that includes a welcoming internally lit shop window scene.